He told me the name of the movie. When I realized what he was talking about I mentioned the actress. He became serious, and nodded. He just knew he knew my secret and I wanted to keep it that way so I could enjoy my visit in peace. (We’d been discussing the view and the Eye) I knew he’d tell his friends he’d met an actress no matter what I said. 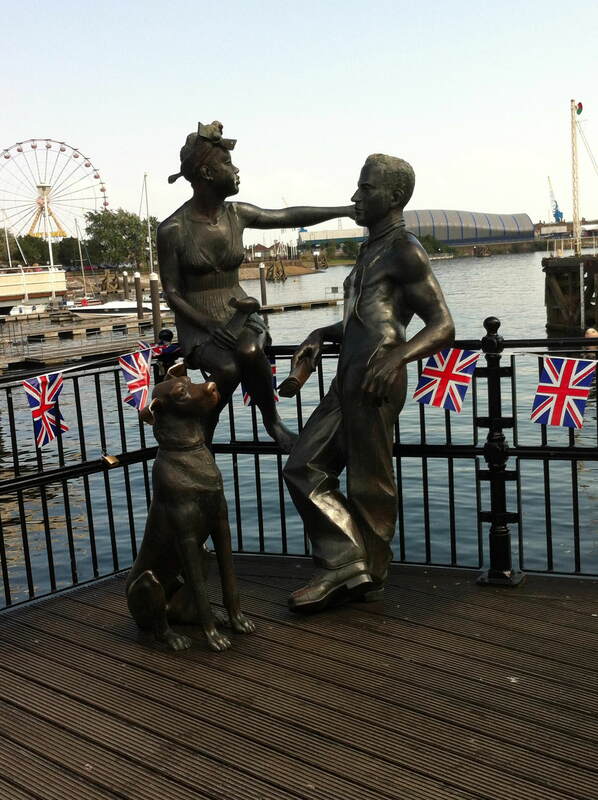 The Prompt: a sculpture that can be seen at Cardiff Bay in Wales. All seven were just arguing amongst themselves. Their behaviors oddly familiar from Skilled Nursing / Adult Psych medical days… and somewhere else. It wasn’t long though before they began to read like textbooks, and then with an ample measure of dismay, it hit me. Although I’d come across patients on the unit suffering from this time to time, the last alcoholic I had to seriously deal with I’d been married to: my second, or was it third, eh, who’s counting, ex-husband. Just terrific. My, or better, an ex in drag. I gruesomely pondered who had dropped dead and had now joined the conversation fueled by Rioja.